Laid down, 16 June 1944, as MV Alexander R. Nininger a Maritime Commission type (C1-M-AV1) hull under Maritime Commission contract (MC hull 2247) at Walter Butler Shipbuilders Inc., Duluth, MN. 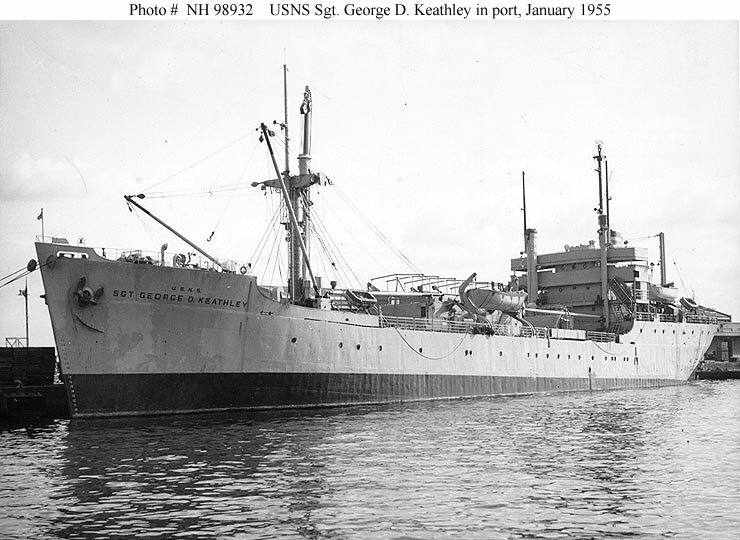 Converted to a Hydrographic Survey Ship at Norfolk Naval Shipyard, Portsmouth, VA.
Staff Sergeant George D. Keathley, a Texan serving with Company B, 85th Infantry Division, was killed in action at Mount Altuzzo, Italy, on 14 September 1944. During the action on the western ridge of Mount Altuzzo, his company's advance was held up 50 yards from its objective by intense sniper, small-arms, automatic, and mortar fire. Three enemy counterattacks to regain former positions were repulsed with heavy casualties to both sides. All officers and noncommissioned officers of the 2d and 3d platoons of Company B had become casualties. Ammunition had run dangerously low. Sgt. 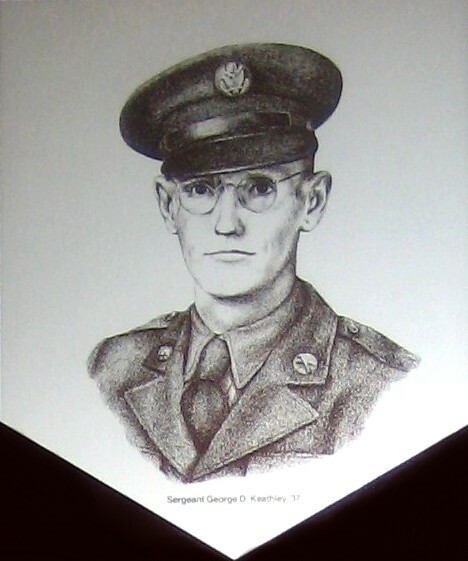 Keathley, from the 1st platoon, assumed command of the 20 men remaining in the two platoons; and, despite the continued intense enemy fire, crawled from casualty to casualty to administer first aid and collect ammunition. As he distributed the ammunition to his men, a fourth enemy counterattack was launched from the front and from both flanks. Company B was given up for lost. The men, however, rallied behind Sgt. Keathley and time after time threw back the enemy. An enemy hand grenade exploded near Sgt. Keathley, mortally wounding him. Sgt. Keathley stood up, fired, and killed an attacking enemy soldier, and continued shouting orders to his men. For another 15 minutes, he continued to provide the leadership needed by his men. Friendly artillery fire then helped force the enemy to withdraw. A few moments later, Sgt. Keathley died. For his courage, heroism, and leadership, Sgt. Keathley was posthumously awarded the Medal of Honor. 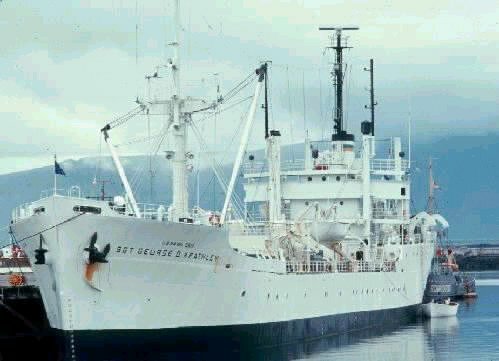 89k USNS Sgt. George D. Keathley (T-APC-117) in port, probably in Japan, January 1955. Photo taken by a Commander Naval Forces Far East Photographer. 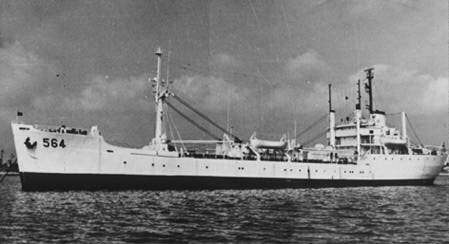 92k USNS Sgt. George D. Keathley (T-APC-117) in port, probably in Japan, January 1955. Photo taken by a Commander Naval Forces Far East Photographer. 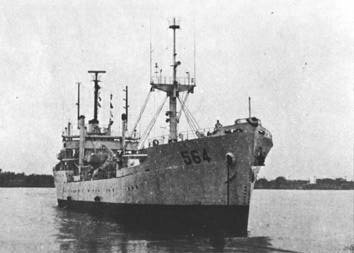 69k USNS Sgt. 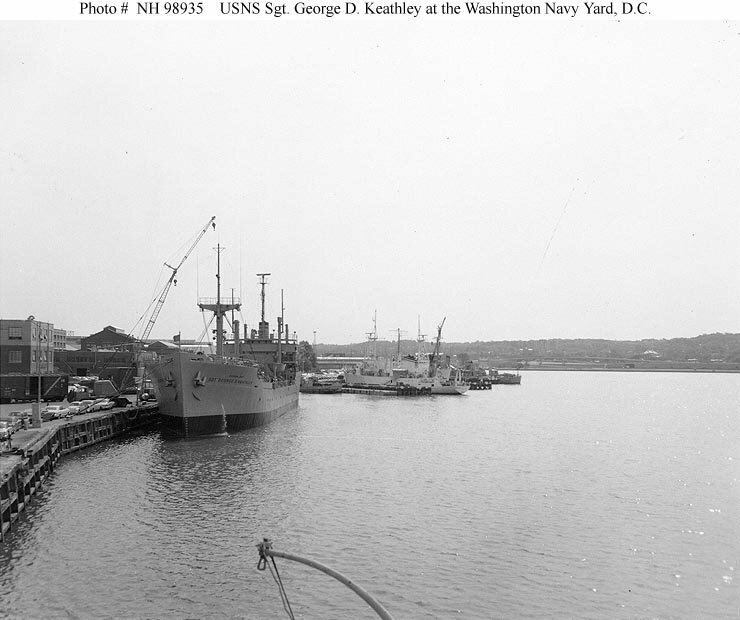 George D. Keathley (T-AGS-35) at the Washington Navy Yard, D.C., during the 1960s. 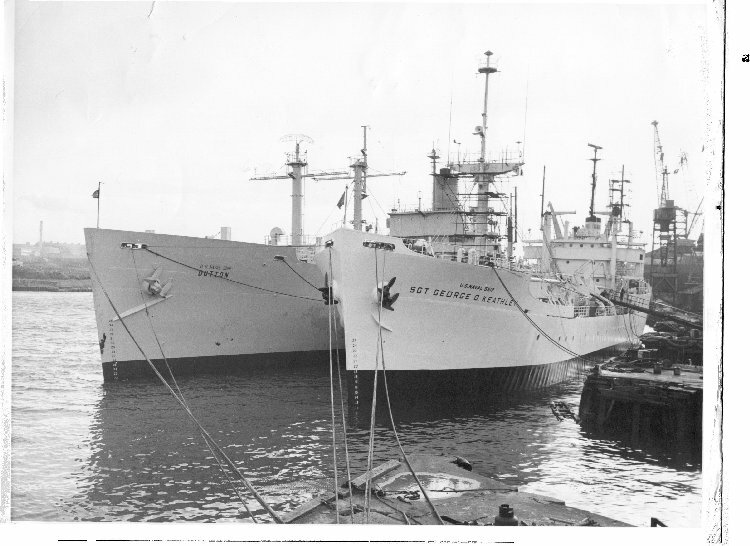 84k USNS Sgt. 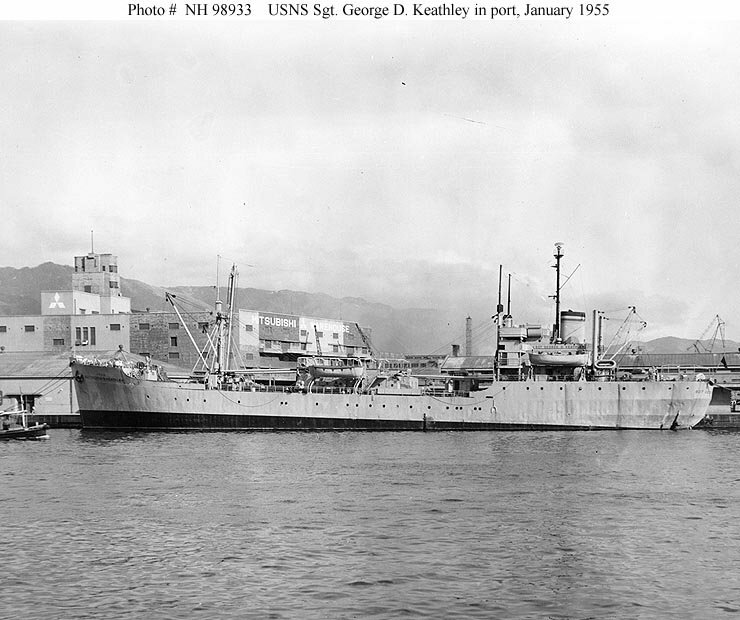 George D. Keathley (T-AGS-35) moored inboard of USNS Dutton (T-AGS-22), date and location unknown.